...thermocouples, resistance temperature detectors and thermowells to meet the most demanding applications in the process industry, including tubeskin and multipoint assemblies. The manufacturing process is performed according to the main International standards such as ASME, ASTM, DIN, IEC, BS, AFNOR, UNI and JIS. The choice of the right material and the thermowell stress calculation according to ASME PTC 19.3 TW-2010 ensure maximum safety for any kind of application. Euromisure products for electrical temperature measurements are divided in the following categories. Our sales staff is available to answer your application questions and concerns and can assist you in the selecting of the correct instrument for your specific application. A number of different tests are emplyed by Euromisure to detect imperfections or defects within or on material surfaces like liquid penetrant inspection, radiography, hydrostatic and ultrasonic test, positive material identification and so on. Thermocouples (TC's) are the most videly used sensor for temperature measurement in the industrial market place. They can be manufactured from a variety of thermocouple types and sheat materials. Size ranges from 0,25 mm to 13 mm. All the thermocouples type are available to suit your application and they're designed according to the International standards. Resistance Temperature Detectors (RTD's) are temperature sensors with the greatest degree of accuracy. The element is a two wire circuit in four basic designs (four wire for dual circuits): thin film, wound ceramic, glass and kapton. Each element design has its application advantages and limitations. WIKA thermowells are available both in solid machined and fabricated designs. 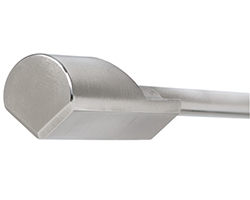 Styles offered include flanged, threaded, weld-in, vanstone and sanitary designs. Material selection and product customization is available in order to provide optimum sensor protection and accurate measurement. 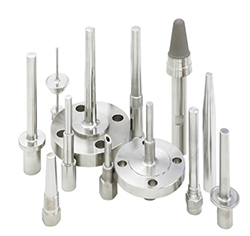 Flanges style thermowells can be constructed using full penetration, partial penetration or screwed and welded options. The thermowell stress calculation according to ASME PTC 19.3 TW-2010 ensure maximum safety for any kind of application. The purpose of tubeskin temperature measurement is to determine tube life and trending and to provide safeguards within a system. By relying on accurate tubeskin thermocouples, clients can safeguard heater operations at their facilities. This can increase tube life in furnaces and increase production. Euromisure has a long established experience in this kind af application. The WIKA group has recent strenghten its position in this market by acquiring Gayesco International Inc.
Multipoint thermocouples are applied especially in refineries, silos, chemical tanks etc. for temperature monitoring in a process, tank or reactor. 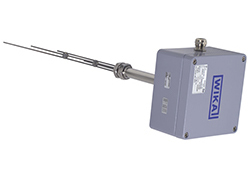 The multipoint thermocouple allows temperature measuring at different measuring points in a process with just one instrument. The temperatures can be recorded and monitored and act upon the process, if needed, by selected cooling, heating etc. 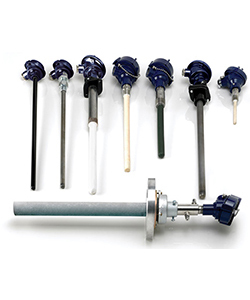 Gayesco International Inc. is a world-renowned, quality manufacturer of temperature measurement instruments and specializes in multipoint thermocouple systems, tubeskins and other related applications.